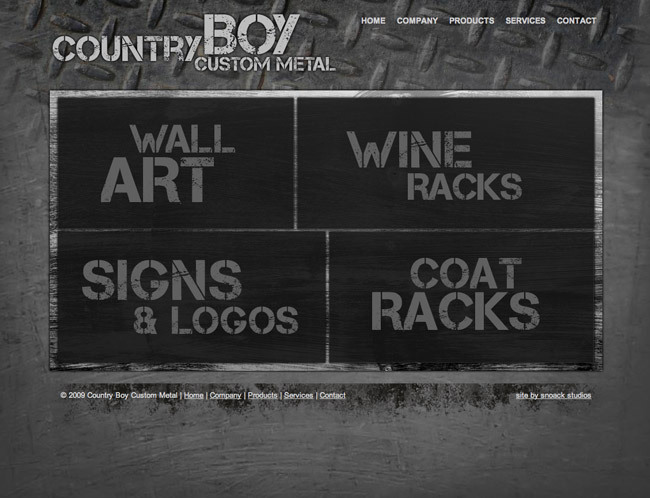 Country Boy Custom Metal produces and sells custom fabricated metal artwork. The site needed to reflect the rugged nature of the artist behind the company and the rustic metallic artwork that he produces. The site is casual, gritty and full of textures and fonts that show off his great products for sale.